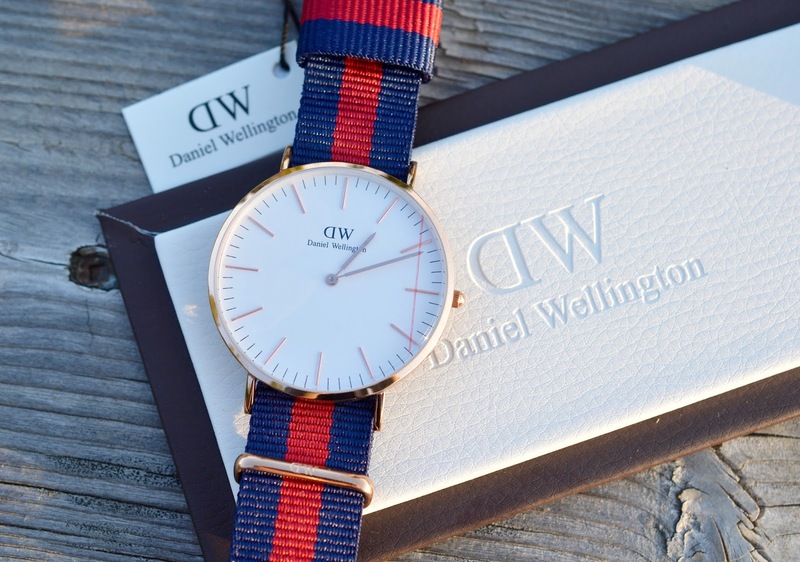 Daniel Wellington's Classic Oxford 40 mm style comes in a soft rose gold colour and is available in two sizes - 36 or 40 mm. This NATO nylon strap is said to be based upon the watch strap issued by the British Ministry of Defense back in the 70s. 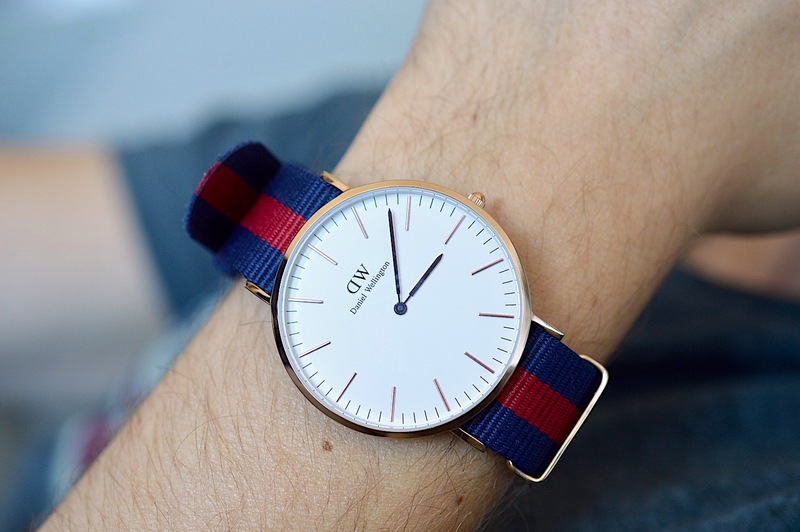 Given that the style is named Oxford, you're sure to look dapper while sporting a Daniel Wellington Classic like this. 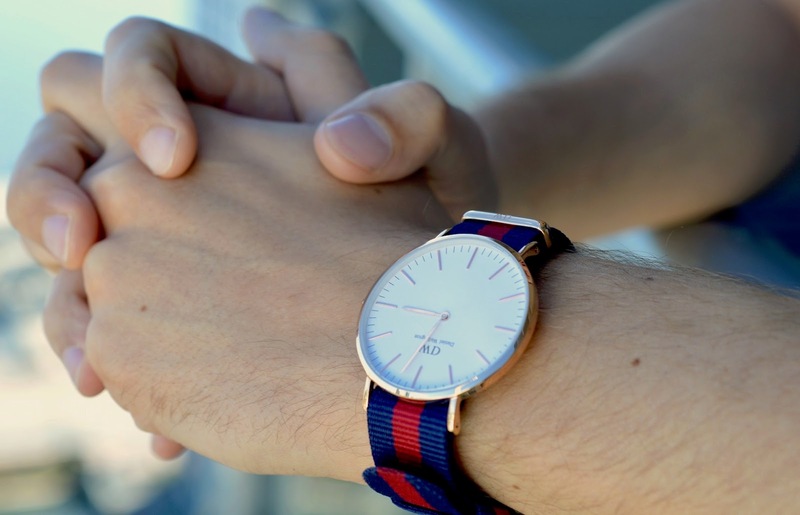 Not only does this watch give serious Gucci vibes, but it's great if you're sensitive to metals touching your skin. It's also perfect for hot days because the nylon will wick away moisture and won't get damaged if water splashes onto it. 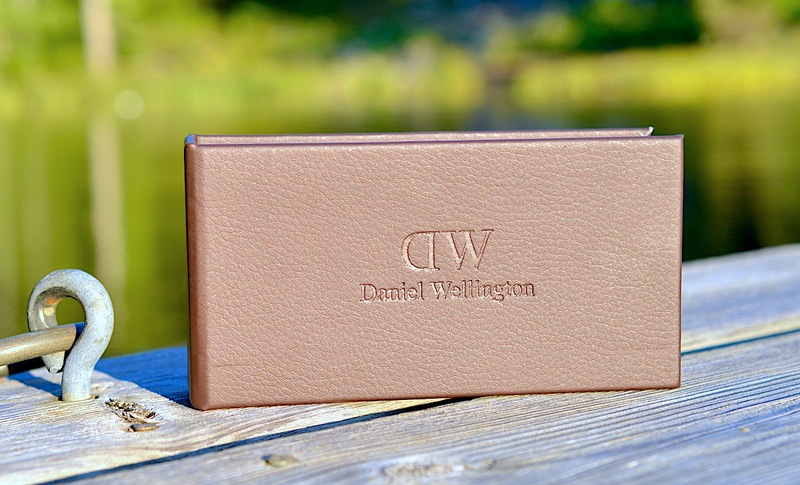 Daniel Wellington watches come in a gorgeous leatherette case for storage, and offer many interchangeable straps to match your mood. Check out their Watch Band Selector tool here. Aren't these colours perfect? I always shy away from mixing too many variables into my accessories in fear that things will clash, but who actually needs more black in their life - especially in the warmer months. 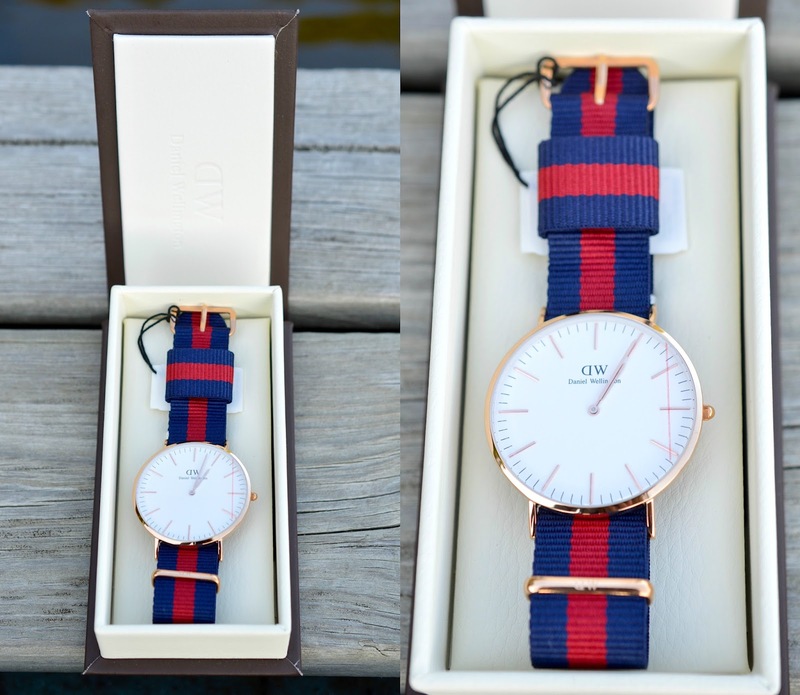 The rich navy and red of this Daniel Wellington NATO strap make a statement, but match easily with nearly every outfit. The details on this watch are impeccable. Engravings on every piece and perfectly finished edges on the band, you'll be impressed. It's hard to find quality this good in watches around the $200 price point. This watch is $279 CAD and can be purchased online here or in department stores. I can't wait to find a brown leather strap to fit onto this rose gold casing. 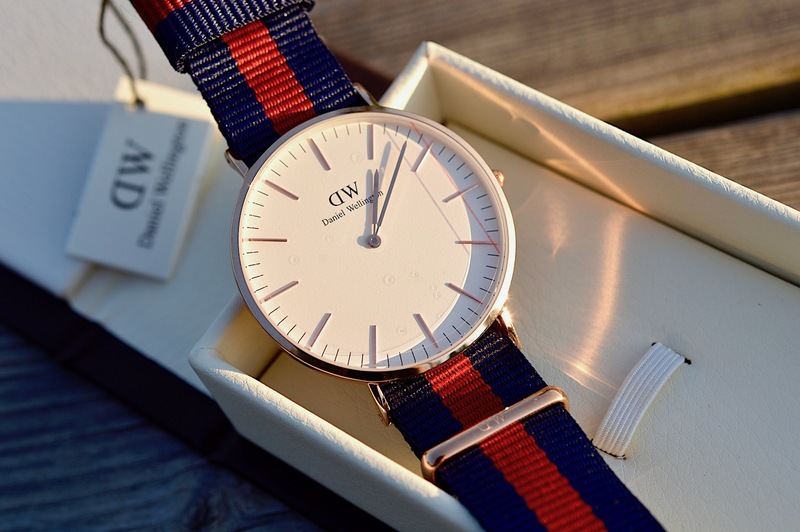 Do you have a Daniel Wellington timepiece? Share your #DWMoments online to see everyone's wrist candy in action. I have my eye on the brand new Classic Petite Cornwall.